McLarenWhere there’s a black feather, there’s a black swan. Obvious, right? If you want people to get excited about a hot new car…show the car! What could be simpler? McLaren has now confirmed that its latest model, previously referred to only by its internal codename ‘P13’, will be known as the McLaren Sports Series. It will join the range below the 650S, bringing McLaren credentials and exclusivity to the sportscar segment for the first time. So McLaren will offer a presumably less expensive sports car, something for buyers who aren’t ready for, or don’t want to step up to, a ferocious, million-plus supercar like the P1. In fact, McLaren is implying that it will roll out a whole series of cars, sitting just below the current 650S model. Great. McLaren doesn’t build a lot of cars — far fewer than rival Ferrari, which could see production rise to 10,000 vehicles a year in the next few years. McLaren’s production is only about 2,000 cars a year now, but the company wants to take that to 4,000 (McLaren has been building cars not purpose-built for the race track since 1992 — the first, the F1, is Tesla CEO Elon Musk’s favourite supercar). 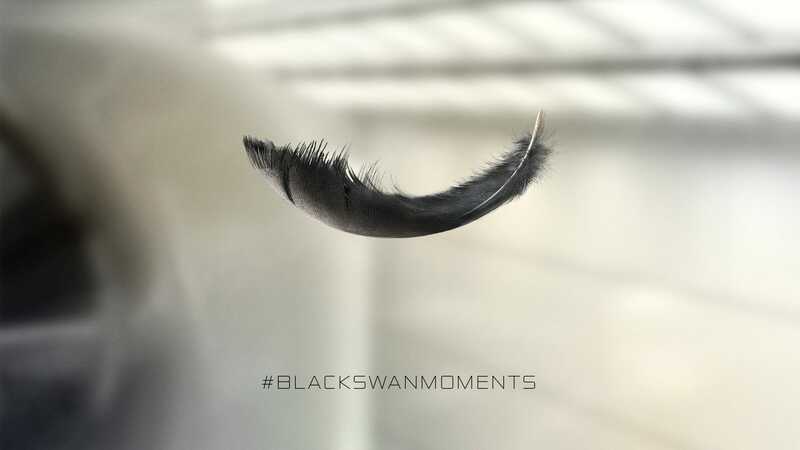 But instead of screeching tires and growling engines and lots of shiny exotic metal and carbon fibre, McLaren has chosen an altogether more esoteric way to introduce the Sports Series: a wafting black feather and a reference to a concept popularised by Nassim Taleb. Taleb titled a whole book The Black Swan and popularised the notion that unlikely events do happen and that it’s possible to profit financially and intellectually from accepting this. McLaren seems to be suggesting that the Sports Series will convince the world that McLaren is more than out-there ultra-high-performance hypercars and a Formula One racing team. It’s an intriguing approach. It builds expectation. But we have to say — we’d really like to see the cars!